Shoe styles are a little like relationships. Some come on hot and heavy, but burn out fast, like the wedge sneakers of the romantic world, if you will. Others offer a lifetime of affection, such as a classic pump or ballet flat. Today, we’re focusing on the latter with a roundup of the five styles that will never lose your love. Click through to see which shoe styles you should declare your devotion to now, and will still adore years down the road. A classic shape in a cheeky print—we’re sensing a long-term love. Nothing adds a relaxed air to your outfit like a pair of classic Chucks. 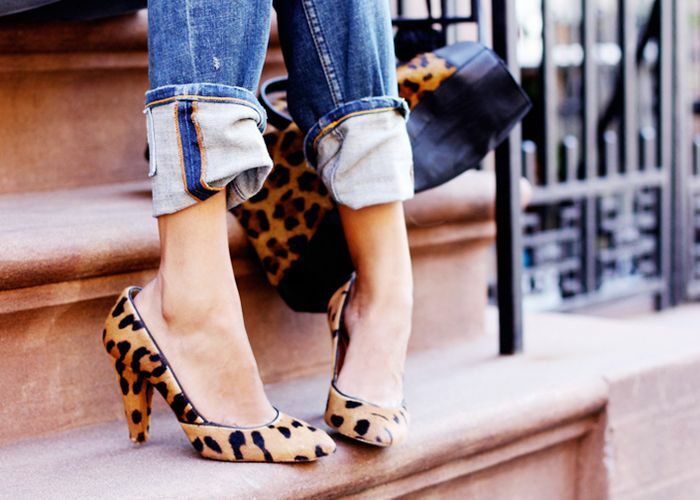 Every woman needs at least one pair of scintillating shoes in her closet. The short-heeled style is critical to our weekend ensembles, easily earning its spot among the coveted five. Sweet and practical, the traditional ballet flat is here to stay.